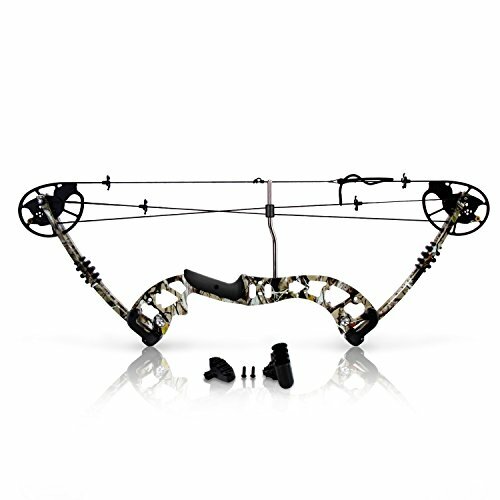 If you’re young archers, beginners, or expert shooter or hunter, the SereneLife has a serious hunting bow d in a lightweight and portable size to provide everything you need to shoot with accuracy and precision to any object you’re targeting. Axle - to -Axle: 30"
Draw Lengths: 23.5" - 30.5"
We always beat our competitors on quality and satisfaction. Remember we’re here to make you a great hunter, shooter and happy with our product. If either one of those things isn’t happening, let us know and we promise to make it right. IF YOU’RE READY TO UPGRADE YOUR HUNTING EXPERIENCE, CLICK THE ADD TO CART BUTTON NOW AND DISCOVER WHAT YOU’VE BEEN MISSING!